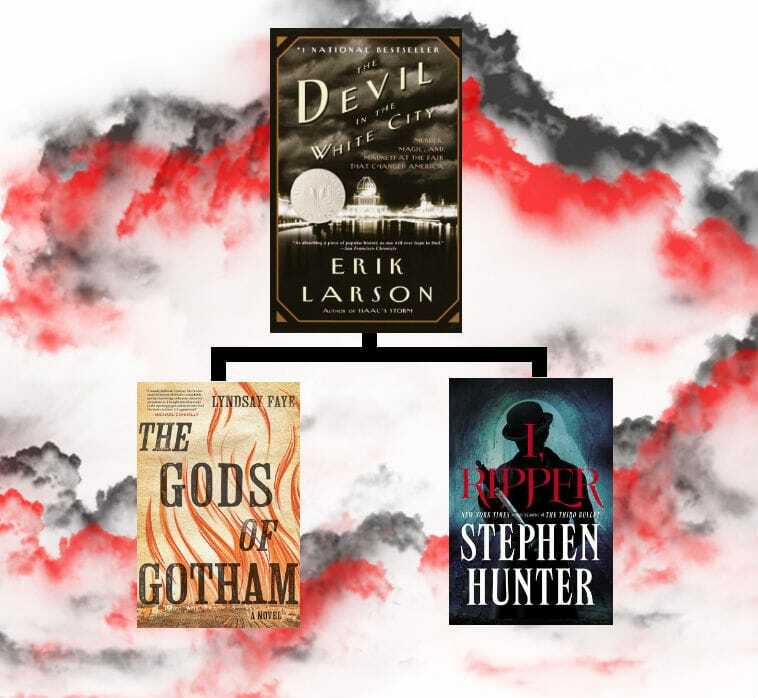 Mount Prospect Public Library Asked at the Desk: I Read Devil in the White City by Erik Larson… Now What? Asked at the Desk: I Read Devil in the White City by Erik Larson… Now What? I read Devil in the White City by Erik Larson and loved it. I want to read something similar, but I want it to be fiction, rather than non-fiction. If you liked the history of an American city intertwining with a murder mystery, try The Gods of Gotham by Lyndsay Faye. Set in New York during the 19th century, Timothy Wilde investigates the death of a 12-year-old as a new member of the newly formed New York police force in this twisty first of a series. However, if you liked the multiple perspectives as a detective investigates serial murders, try I, Ripper by Stephen Hunter. Hunter does not hold back in this gritty horrific suspense, as readers get taken to 19th century London during the Whitechapel murders, attributed to Jack the Ripper and even get into the horrific mind of the serial killer. Want more readalikes? Or maybe you liked something different about Devil in the White City that we didn’t touch on? Ask for more suggestions online or stop by the Fiction/AV/Teen desk on the second floor!